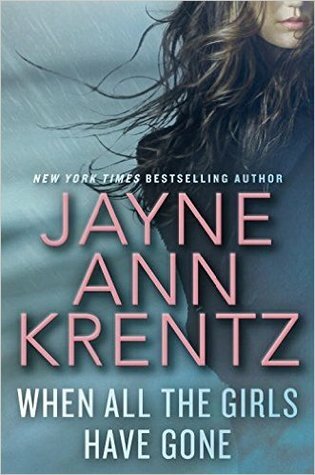 Today I'm featuring When All the Girls Have Gone by Jayne Ann Krentz. The excerpts shared are from the hardcover version I borrowed from the library. The killer waited patiently for the target to emerge from the cabin. There was no great rush, after all. The waiting allowed time to savor the prospect of revenge. Page 56: "'Use your own judgment, Mr. Cutler. I just want answers.'" 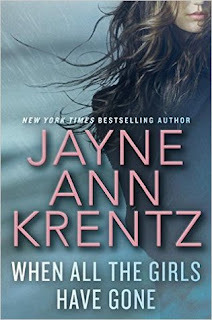 My thoughts: Jayne Ann Krantz is one of my favorite authors--a talented novelist who writes under several different names and in several genres. This is slated as my next read, my last of 2016. It's comforting to end the year with the newest work of an author who never disappoints me. From Goodreads: When Charlotte Sawyer is unable to contact her step-sister, Jocelyn, to tell her that one her closest friends was found dead, she discovers that Jocelyn has vanished.